Roborn combines the meaning of “Robot” and “Reborn”. It is based on the founders’ concept of a robot reborn by human. Through motion control its soul is aroused. Our company aims to share the fun, the dream and the excitement with robot lovers. 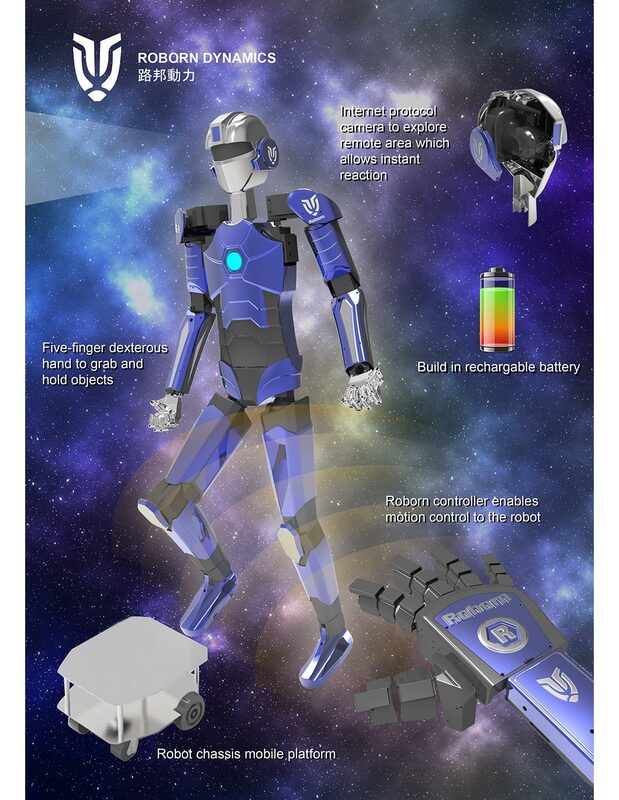 Our latest humanoid robot ME-1 is based on the break through in motion control technology. With this we can control the robot freely and easily by simply move our hands and fingers. Now the ultimate dream of controlling a robot is no longer only in science fiction but a reality. ME-1 is neither controlled by traditional mainstream control devices nor programs, it is controlled by user’s body motions through wearing our Roborn Controller. We bring player a new control experience to revolutionize the robot market. By combining with the usage of Virtual Reality (VR) accessories, a first-person view (FPV) is presented in front of the user, make it feels like controlling their own body. Promote the latest humanoid robot technology to break through the traditional control boundary in toy and entertainment industry. Be one of the leading innovative humanoid robot solution providers in the world. Robot enthusiasts of all ages who desire to control their very personalized robot. To specialize in motion controlled humanoid robot.